Northburn Station is in the heart of Central Otago high country. The vineyard is surrounded by spectacular snow-capped mountains, overlooks the picturesque Lake Dunstan and yet is only a few minutes drive out of Cromwell. The stunning cellar-door and function centre (200 person capacity) is the perfect place to stop for a wine-tasting, a bite of lunch or to hold your function or wedding. The 23 hectare vineyard (est. 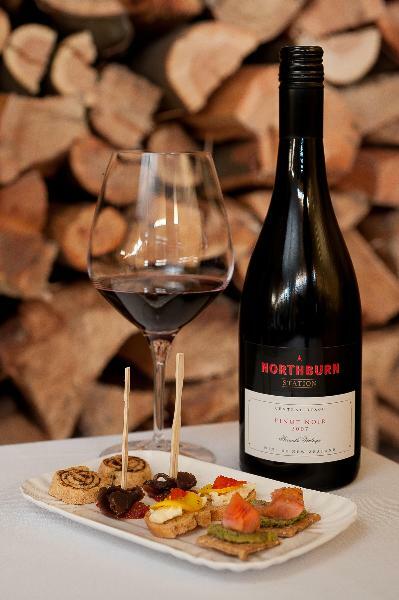 1999) currently produces around 2000 cases of wine a year under the Northburn Station label – primarily richly structured Pinot Noirs – but also Pinot Gris, Rieslings, and a Rosé.